There is a saying, the source of which is lost, that time is money. In other words, time is valuable and costs, so don’t waste it. In digital marketing, the equivalent saying would be data is gold. Collecting data on consumer behaviours, routines, choices, likes and dislikes, along with other variables has long caught the attention of brands, large and small. This is why Google, Facebook and other social media platforms pour money, sweat and tears into algorithms. By understanding what their customers and users want, they can provide a better quality and level of service. The same should be true of your website. 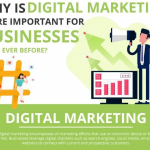 You have, of course, by know understood that quality content is key, streamlined checkout services as well as plenty of promotion and advertising to bring customers, fans and followers to your website. But what happens once they are there? What do they do? The effect of advertising and promotions that may or may not be having an impact on your website. Tags are, some would say, the lifeblood of analytics. 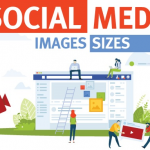 This analytics -the numbers and the graphs – all combine to give you a picture of what is happening, as well as helping to drive up revenue. Sound great, don’t they? Tags, however, can be the stuff of nightmares to implement. And this is where Google Tag Manager comes in. Does Google Tag Manager ease the tagging nightmare? Tagging can be compared to a log burner. For those that have an open fire, they will tell you how fabulous it is on a cold, dark evening when the outside sub-temperatures are sub-zero. Rain lashing and the window, wind howling around the house, the mesmerising flick of the flames is a delight. But, anyone with an open fire will tell you what a nuisance they also are. The payoff of that wonderful heat is the daily cleaning of the grate, a dirty job, the sometimes impossible knack of getting the fire going and overall, how cumbersome the whole thing can be. Website tagging is like a log burner – great to look at when they have got going but tedious, time-consuming and inefficient to create. Tagging web pages often involve your IT people and your marketing people. It can be an enormous input of time and expertise. There are bottlenecks too such as time-sensitive campaigns. Tagging is not a job that is done quickly – it can take from three hours to three weeks – and then there are errors to correct and so on. Just when you think you have your log burner lit and on the go, you have to keep feeding it. It is the same with tags; as your website evolves, more and more tags need to be added to its pages. Now the good news. There is a solution to cumbersome tagging – it is also free and relatively simple to use. 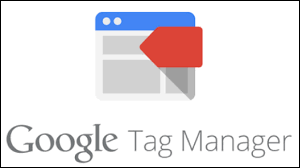 With Google Tag Manager you can wrestle back control of your campaigns as this solution handles a large part of the technical aspect of tagging. So free yourself from the hassle of managing tags manually. Unfortunately, the same cannot be said of your log burner. The top-most level of organisation on Google Tag Manager is an account. Only one account is needed to handle all the websites for that company and tags are managed at this level by creating containers. You can sign up for an account at Google. Containers hold the tags for a specific website. To make it easy on yourself, name these containers after the specific website. Once you have a container, you can start to create tags for your website. Google helpfully provides some suggestions, as well as templates used by others such as LinkedIn and so on. You can also create custom tags too. Once you have added the tag, you will need to provide more detail for each tag. This links with Adwords, Google Analytics and so on. Triggers are then set which determine when the tag is fired. This can take some time – hence the three hours to three weeks timing scenario – but once you are confident, you will now need to publish these tags. Like anything new, it takes the time to master a new skill as well as understanding what some of the technical background activities and tools bring to your website. Your business’s website is a living entity. It continually needs updating and maintained both on the surface and background aspects too. Google Tag Manager may be a missing piece of the jigsaw.